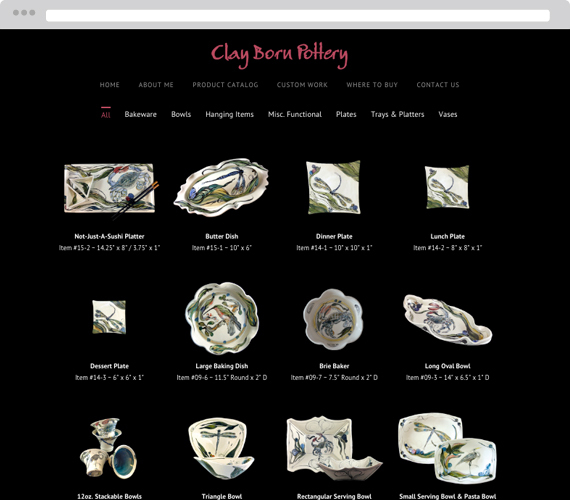 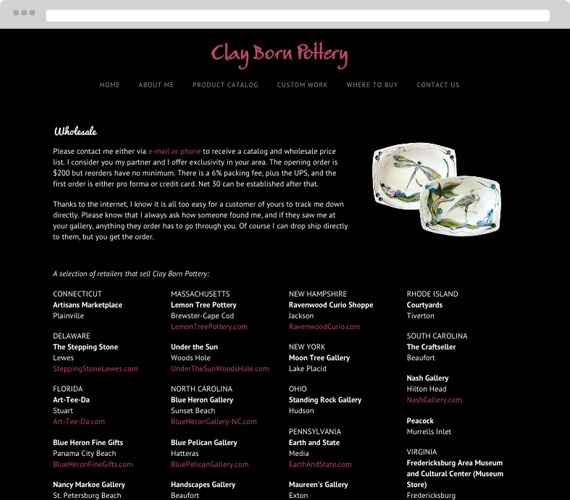 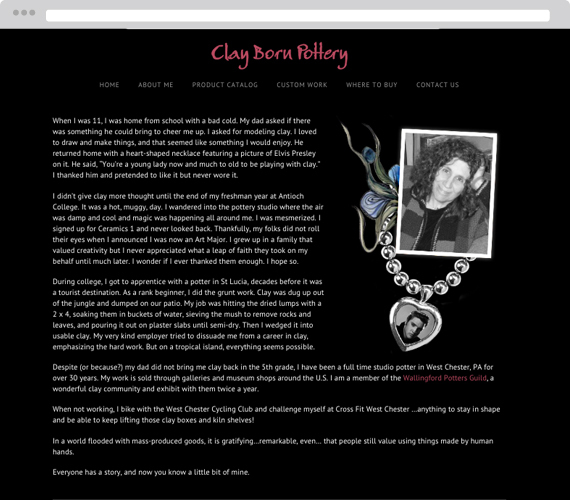 Clay Born Pottery is functional and sculptural stoneware, handmade and decorated by Nancy Rasch Salamon, right here in West Chester, PA. 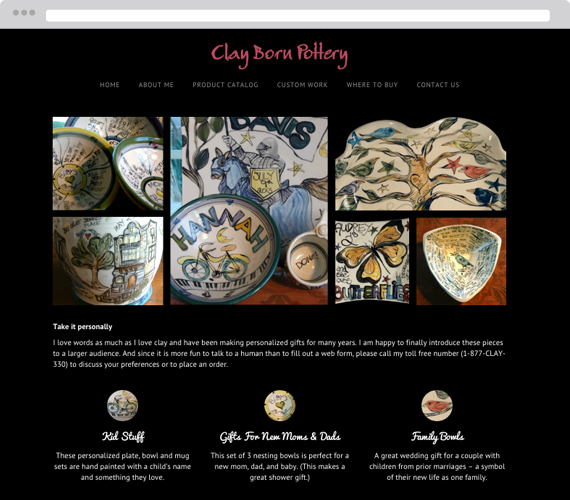 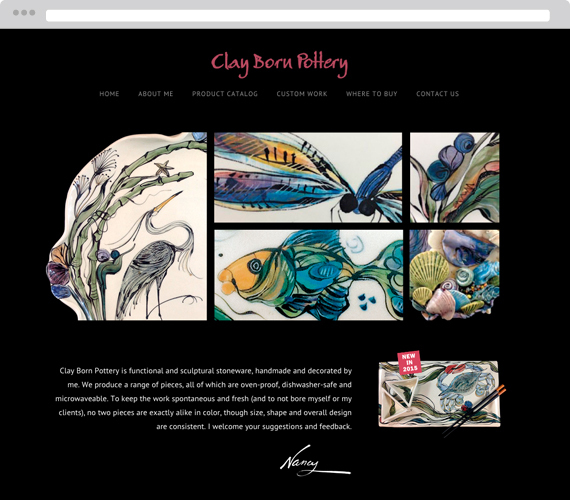 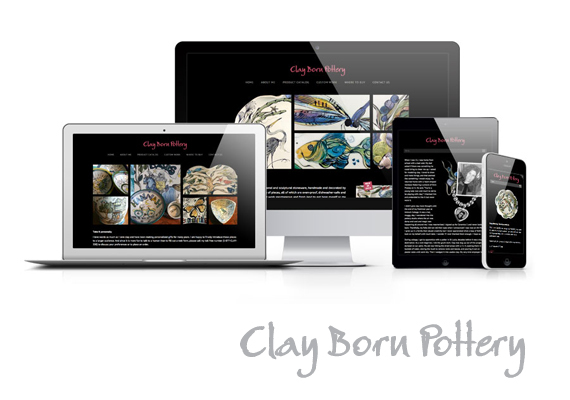 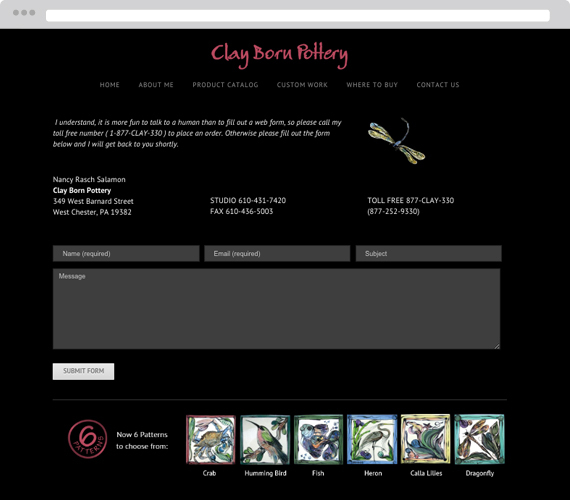 The site redesign was to reflect the feel of the pottery, be well organized and intuitive for visitors to navigate. 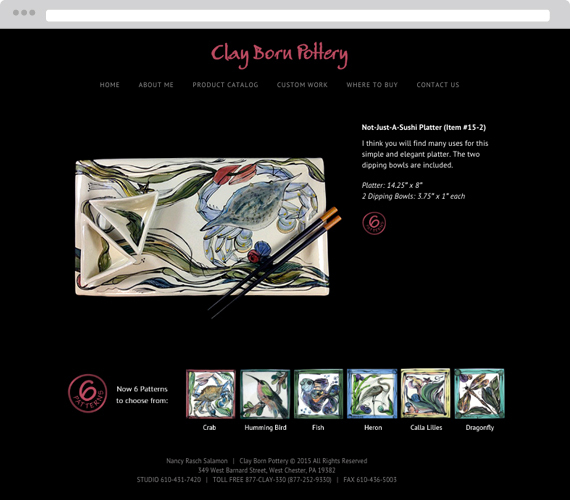 After the launch of the new site the sales of customized pieces increased exponentially.